No! 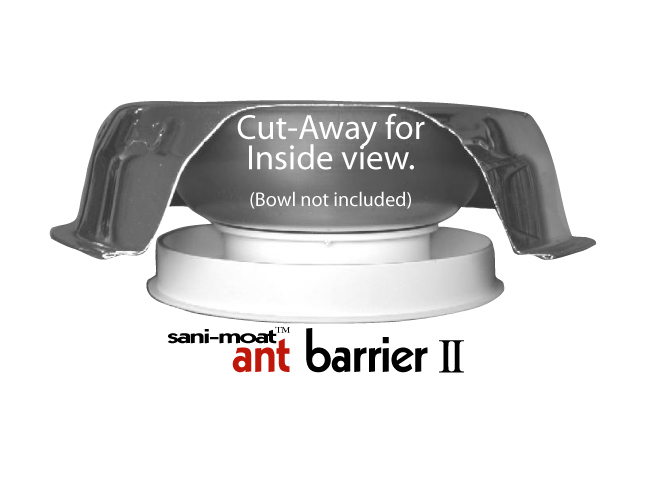 The Inner Moat is not easily accessible by Children and NOT accessible by Pets when attached to the Food Holder. Of course you don't want to have your small children picking this unit up. If Babies are present, use only water and a dab of dishsoap. Keep in mind that this interlocks to your Food Holder so it has to be twisted apart. Note: You do not need to install more than 1/8th inch of Household product in Moat for it to be effective. If you use Liquid or powder, remember that it will spill from the Moat if it is picked up and turned on it's side or upended. This will not be an issue if you install a household product with the consistency of Petroleum jelly. when it is attached to the Food Holder?